Mat Pilates improves general core strength and conditioning using all the principles of Pilates. 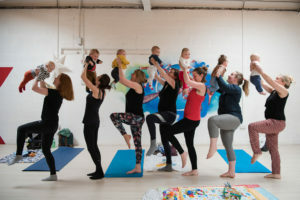 Classes are held at our studio in Portobello, near Edinburgh. Book mat pilates single sessions or a block of four sessions through our secure payment system. All equipment is provided. Please bring a bottle of water and wear comfortable clothing. We have a bare feet or Pilates socks policy during the classes to ensure safety and precision during the exercises.